This classic home-made dessert for all to try. 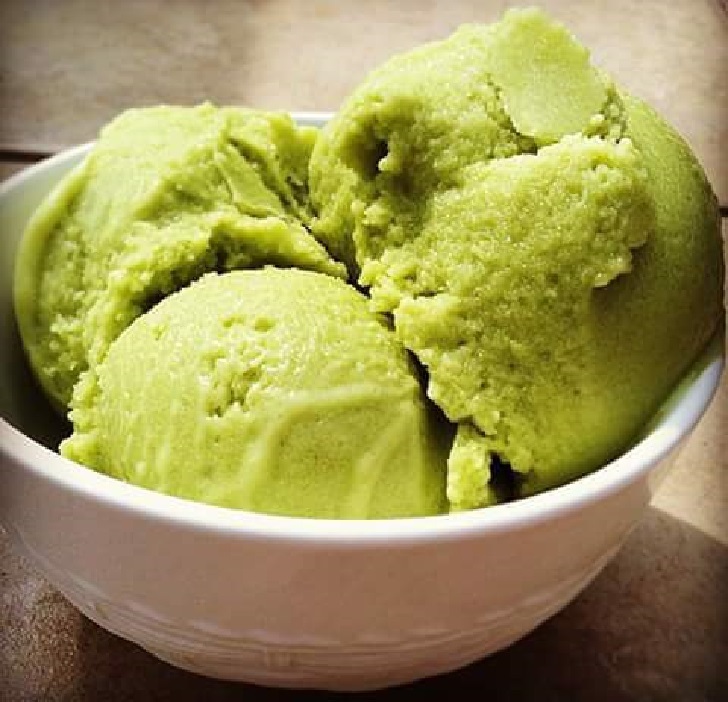 The avocado lends a lovely, appetizing color, and it's heavenly. It's also incredibly easy to make — no churning required. Top it with some flaky sea salt for a sweet and salty bite. Put all ingredients in a blender and blend until smooth. Transfer to a plastic container then freeze it for 4 hours. Enjoy. Serve with fresh fruit and a sprig of mint for decoration or try spreading the ice cream on cookies for avocado ice cream sandwiches. Or for a decadent vegetarian ice cream dessert use soy milk and try this with our Vegan Chocolate Cake with Chocolate Avocado Icing Recipe.